I made a few things during the long driving stretches during our trip. I am usually prone to car-sickness, but I did well. Just a few curvy spots made me a little whoozy, but I managed to keep my hands busy for the boring parts of the drive (AZ & mid CA). I forgot washcloths for the camping part of our trip which were very much needed for little sticky hands and messy faces, plus we didn’t have anything to clean up dishes or my gritty feeling face either. So, three different cloths did the trick. We managed to keep them straight: the square one for the boys, smaller round one for me and the big round one for dishes. They worked out well. 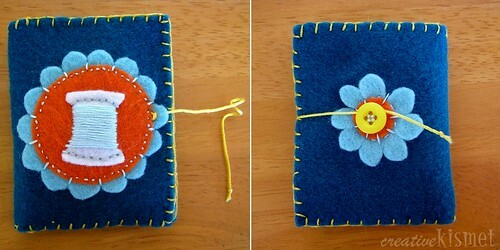 I also made a little sewing/needle book to keep in my purse. I’ve been needing one for a while. This entry was posted in Knitting/Crochet, Sewing and tagged needle book, washclothes. Bookmark the permalink. I really, love that needle case. I think I need to make a similar one for the tapestry needles I use when knitting. They are all over the bottom of my needle bag. Wow, I’m envious of your driving productivity. I can’t look down at all and since I’m new to knitting still it requires me to look a lot a what I’m doing. 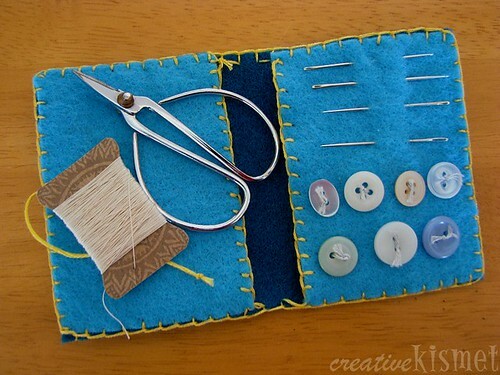 Love the needle cases – great idea and very cute! I love your projects, very cute! 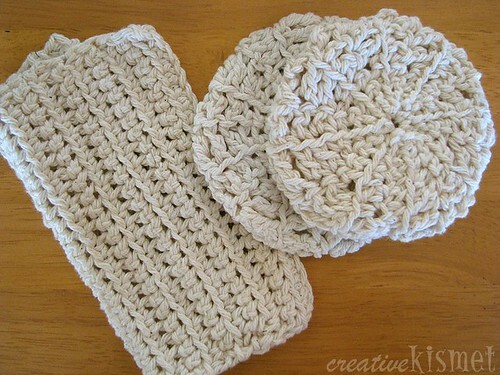 That wash cloth looks like mine! My mom made it for me. Cute sewing book.